Why must cheap be so ugly? Everywhere in the world, even the poorest families try to beautify their houses. 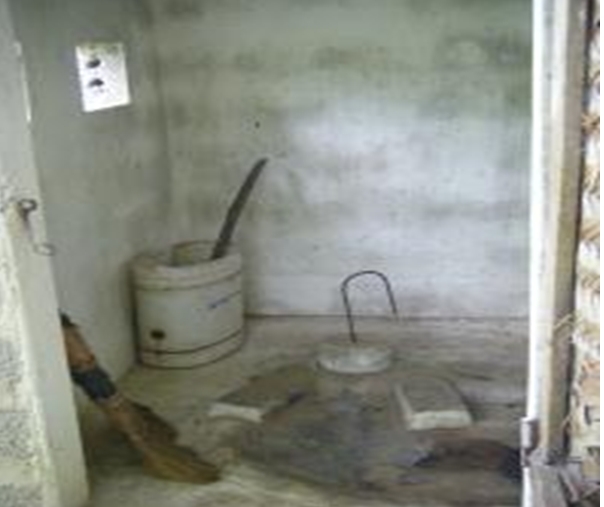 Then why are low-cost latrines often so ugly, ask IRC’s Christine Sijbesma and Erick Baetings. Christine: Ever since I have been working in the lower cost end of toilet designs I have wondered why most of them are so ugly. 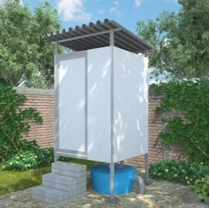 I have worked in rural sanitation in Latin America, Sub-Saharan Africa and South Asia and in urban sanitation in South East Asia since the 1970s. Everywhere I have seen how the poorest families also strive to beautify their living environment. In East Africa families paint decorative bands on huts and rake their yards, in India women make beautiful patterns in the sand in front of their katcha houses with coloured powder, and in Indonesian city kampung families tile their front stoops in gay colours and keep potted plants in tins. The ugly latrine slabs in grey and sometimes rough concrete clash with this universal desire for an attractive and cheerful environment. Back in 1970 I was already wondering why we cannot have more gaily coloured slabs, like the zealously polished red and green cement floors found in almost every Kenyan home, or slabs in nice pastel shades, such as soft pink and mint green? Is it that cement cannot be mixed with powdered paints? Or that these paints will fade very quickly with the intensive use and scrubbing of the slabs? Or do the makers and sellers of the slabs think that no-one will want to pay extra when the real dream of a coloured ceramic platform or pedestal toilet is out of reach? 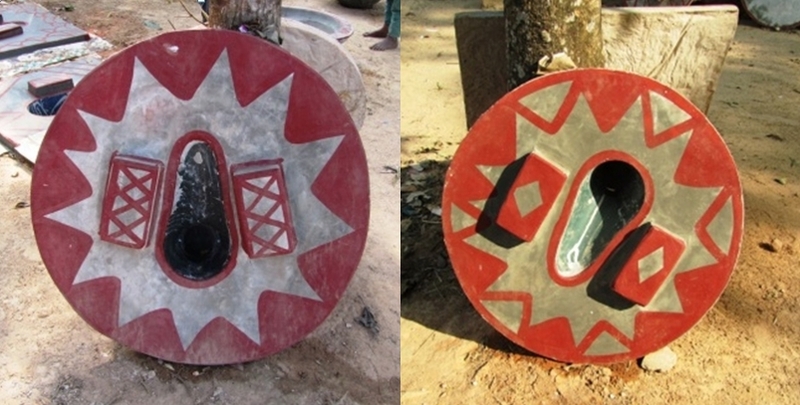 Have we ever promoted businesses where entrepreneurs tried to make and sell low-cost coloured latrine platforms and pedestals? I have never seen any report nor trial, yet poor families do want toilets that they can be proud of. In Latin America poor families with an outhouse would leave the doors open so passers-by could see the shiny white ceramic platforms. And I remember very well an early video film from the Dominican Republic where a wife tells her husband she wants him to get her a gaily coloured plastic platform for her toilet, she can’t decide between that one or the one with imitation marble or granite patterns. We can then see the husband leave on his motorbike and come back with the final choice on the back of the bike. I noted the same trend when researching sustainable sanitation marketing in Viet Nam a few years ago: poor rural families preferred to wait until they could install a ceramic toilet draining to a septic tank which they thought they would never have to desludge, because the sludge is “self-destroyed”, rather than go for the ugly grey double-vault composting toilet that can for ever produce free manure for their land (see photos). 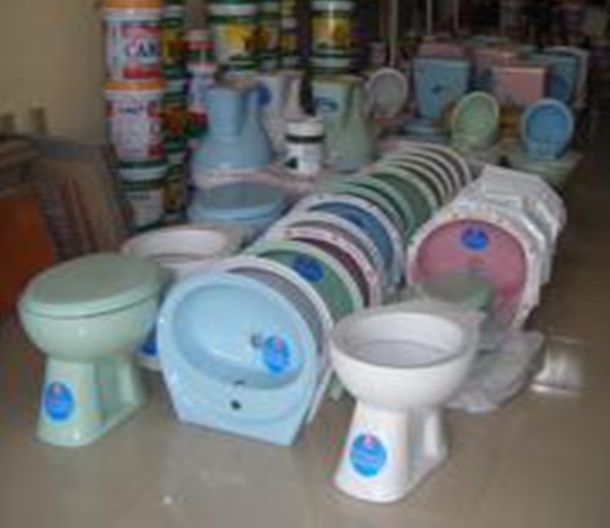 Would these “beautifying” strategies trigger more demand for toilets? Would it make it easy to climb the first step of the sanitation ladder? Who will save the world from the ugly toilet? Erick: When visiting toilet part producers during our recent visit to Bangladesh for the BRAC WASH II programme in January 2013 we found some brilliantly coloured slabs. Similarly in certain areas where the SHAW programme is implemented in East Indonesia (e.g. 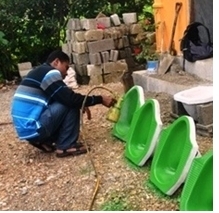 by Plan in West Timor), toilet part producers colour the cement pans so that they look fancier and are able to compete better with the more expensive ceramic toilet pans. Another partner, Yayasan Dian Desa, has developed a modern-looking prefabricated toilet that is easy to install and keep clean. Any readers who know of other such initiatives and details about supply, demand and user satisfaction? Dr. Christine Sijbesma is an IRC International Water and Sanitation Centre Associate and Erick Baetings is a Senior Programme Officer, South Asia & Latin America Team at IRC. 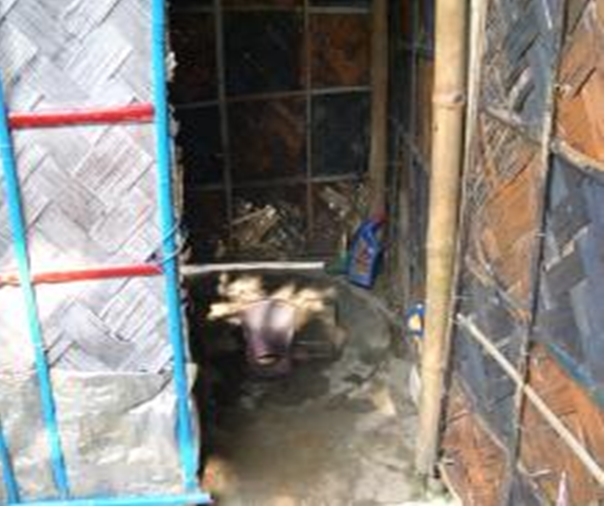 This entry was posted in East Asia & Pacific, Sanitary Facilities, South Asia and tagged BRAC WASH II programme, changing behaviour, irc's approach, latrines, SHAW programme. Bookmark the permalink. Very good point! Thanks for raising it. We should think about this more.